Valve promised three announcements this week and they’ve delivered. A Steam based operating system, dubbed Steam OS. An announcement of not one but multiple Steam Machine variants from multiple vendors (15-20). And now the last announcement, a controller that features a touch screen, trackpads which replace the conventional thumbsticks found on the majority of controllers, haptic feedback and lastly an ergonomic button placement scheme. 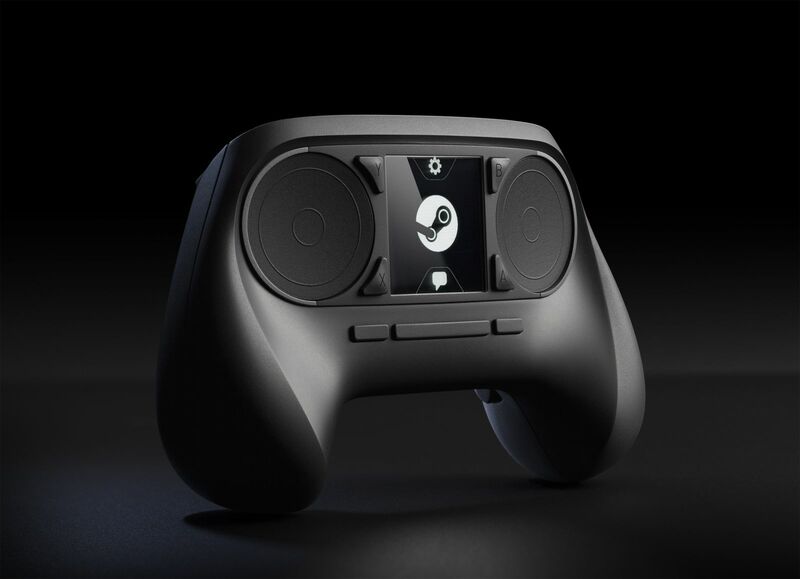 Designed by Valve from the ground up, this beauty will work directly with the “Steam Machine” and is 100% hack-able. The controller features 16 buttons, most that can be accessed without lifting your thumb from the controller. Valve also thought about the lefties and righties as the buttons are symmetrical, meaning that the controller will feel right at home for both left and right handed gamers. The touchscreen also doubles as a button which is clickable and also will apparently provide an on screen overlay when clicked so you won’t have to keep looking down at the controller while gameplay is occuring.